Always wanted to try dragon boating? Flex your arm muscles! Enjoy the scenic view! 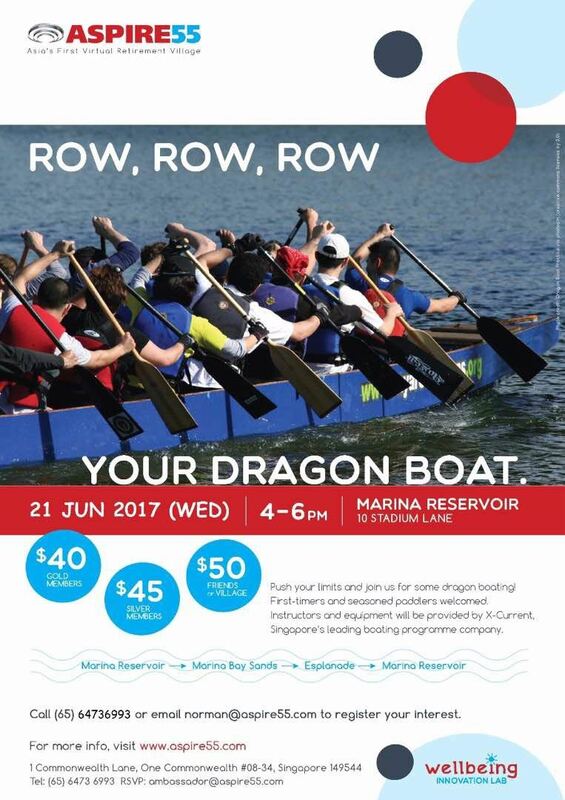 Learn the basics of dragon boating and cruise down from Marina Reservoir to Marina Bay Sands and Esplanade area for a Fun and Breezy evening. Hurry! Limited to only 20 members! We will meet at 3.30pm to do some warm up before the instructors take over the lesson/ adventure. Note: Members should be comfortable to participate in water sports activities. Please declare in the registration form if you don't know how to swim.